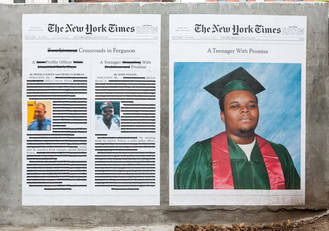 The ongoing racial bias in mainstream media is uncovered by Alexandra Bell‘s series Counternarratives, in which the artist makes substantive edits to New York Times articles, altering headlines, changing images and redacting superfluous text to reveal to an essential aspect of a story that is otherwise buried. In A Teenager With Promise, the original Times headline on the shooting death of Michael Brown by a police officer is changed from “A Teenager Grappling With Problems and Promise” to “A Teenager With Promise,” and its accompanying image of Brown in a baseball cap is replaced by an enlarged graduation photograph. 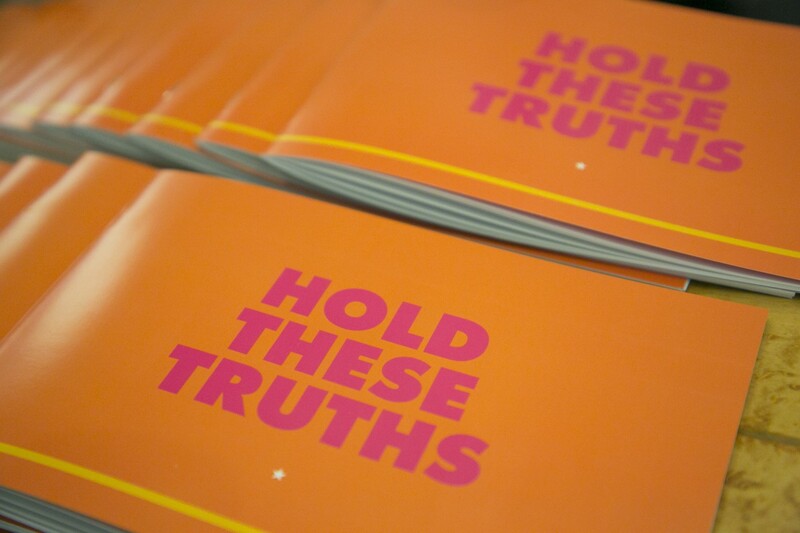 Wheat-pasted in the public realm and widely posted on social media, these revised New York Times articles constitute a new truth, whose viewpoints find distribution beyond the newspapers on which they are based. A Teenager With Promise Photo: Darryl Richardson. Courtesy of the artist.